Workers earlier this month put the finishing touches on a new ADL suite at Regal Heights Healthcare and Rehabilitation Center in Hockessin, Delaware. Regal Heights Healthcare and Rehabilitation Center is a 172-bed subacute care and skilled nursing center. The new rehabilitation suite allows residents to stay mobile and independent in a setting that mirrors a home environment, making transitions easier, Regal wrote in a press release. The suite comes equipped with a washer and dryer combo, a kitchenette space with dishwasher, a free-standing range, and two “bathroom” areas with a walk-in shower and a tub and shower combo. The new suite also has an area that allows residents to practice how to safely get in and out of bed and a private meeting space where family members can confer with rehabilitation staff. 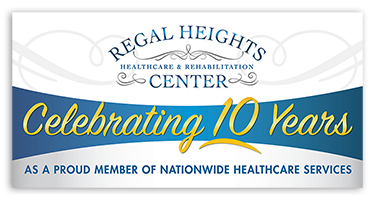 To earn more about Regal Heights Healthcare and Rehabilitation Center, click here. This post originally appeared on Senior Housing News.